"RIGHT FROM THE FIRST TIME WE MET GEORGIA WE KNEW SHE WAS THE RIGHT FIT. HER CALMING NATURE AND KNOWLEDGE THROUGHOUT THE PROCESS MADE US CONFIDENT TO LET HER DO WHAT SHE DOES BEST WHILE WE CONCENTRATED ON THE PLANNING THE WEDDING." Rob & Mel marrying in Howqua. Image by Indie Lane Photography. 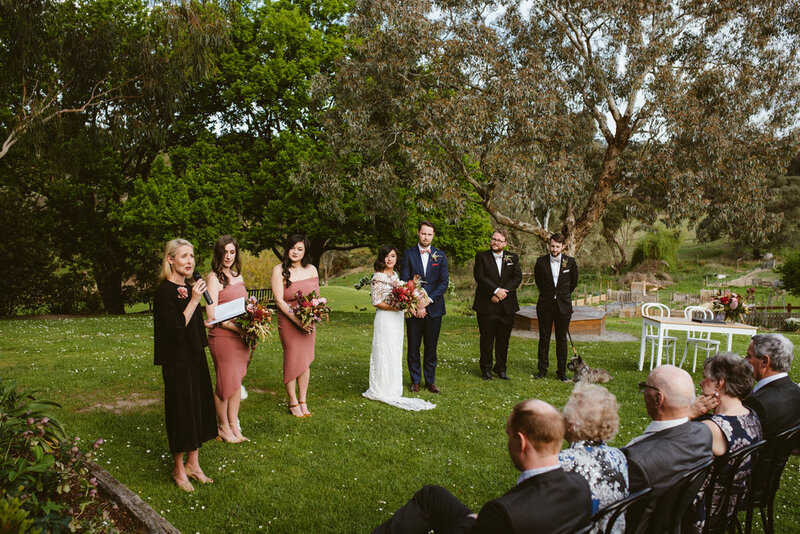 Having worked as the coordinator at the Victorian Marriage Registry, a celebrant trainer and now as a celebrant myself for over 5 years, I offer my couples complete confidence knowing that their ceremony will run smoothly and professionally. But that doesn’t mean I don’t like to bring fun, energy and laughter to your big day. That’s my greatest passion actually – aside from my dog (and unofficial assistant) Barry! To date, I’ve had the pleasure of marrying 570 couples, all with unique stories, styles and ceremonies. I'm always happy to share my extensive experience, ideas and expertise. Beyond weddings, I've also worked as a yoga instructor for many years, which might be why everyone says I'm so calming on the day. I love cooking, running, travelling the world and patting every dog I see. I'm based in central Melbourne but am always happy to travel some more for any destination weddings. 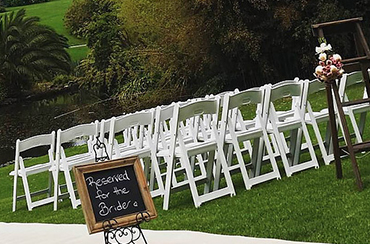 Finding the right suppliers can be a tricky process when you're planning your wedding. Here are some that I've worked with previously – and found to be reliable and highly professional.